Harvard’s New England Primate Center. When four monkey deaths were reported at Harvard’s New England Primate Research Center between 2010 and 2012, the animal-care problems seemed to come out of the blue. It was an unprecedented period of primate-welfare episodes at a prestigious center known for its contributions to HIV research and neuroscience. Now, documents obtained by the Globe suggest there were far more suspicious primate deaths at the center, a place now slated for closure this May, than Harvard has previously revealed. 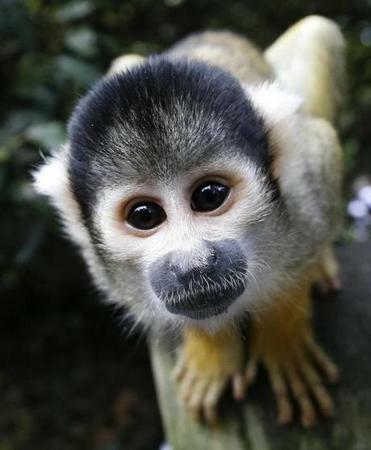 A dozen dehydrated squirrel monkeys were found dead in their cages or were euthanized for poor health between 1999 and 2011, according to data provided by a former center director. The former director, and outside specialists contacted by the Globe, said the information suggests many of the animals became dehydrated because of deficiencies in care. The dead monkeys included a 4-year-old female that had no water spout in her cage, a 10-year-old female whose water line was malfunctioning, three with a medical history of “water deprivation,” and a 3-year-old female unable to drink because her tooth was caught in a jacket. The deaths were detailed in a spreadsheet containing information about the medical histories of 14 monkeys released to the Globe by Dr. Frederick Wang, who headed the center from September 2011 to February 2012 , during a period when three monkey deaths were reported to federal authorities. All but two of the earlier cases specifically describe the monkeys as dehydrated or water deprived. Wang said he disclosed the information because he believes it raises serious questions about the integrity of a 2014 study done at the primate center. But the data also suggest, for the first time, that the type of monkey deaths that were acknowledged and scrutinized under Wang’s watch may have gone on for a decade. The researcher who led the study said the monkeys included in the final paper stopped drinking because they were sick with other illnesses, but Wang said in a statement that his experience and review of the data suggested that human error contributed. Several of the case descriptions suggest “that these animals became severely dehydrated as a result of problems with animal care. These historical data were consistent with my assessments of significant and longstanding deficiencies in various parts of the center,” said Wang, a Harvard Medical School professor. The primate center, run by Harvard Medical School, sits on a remote campus in Southborough and was established by Congress in 1962. For decades, it has operated as one of eight national centers supported by taxpayer funds, making major contributions to the understanding of human disease. 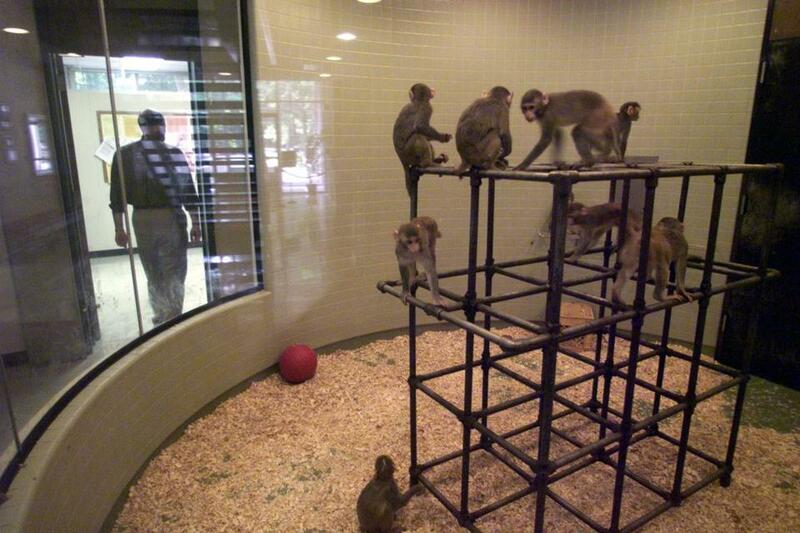 In 2012, it housed 2,058 monkeys, had 231 employees, and brought in about $25 million annually in federal funding. As problems became apparent over the past five years, Harvard undertook efforts to respond. It paid a $24,000 fine to the US Department of Agriculture for violations of the Animal Welfare Act. Then, in 2013, it stunned researchers with the abrupt announcement it would close the center this year for financial reasons. Medical School dean Dr. Jeffrey Flier said the decision to close the center had nothing to do with the animal-care problems. “We’re in a time of constrained resources, and everything can’t go on the way that it did before,” Flier said in an interview. Harvard responded to Wang’s allegations with a statement describing the extensive review and changes it had made when it began to identify problems with leadership and procedures at the center in 2011. The medical school declined to provide specific details about the 14 monkeys described in the medical histories spreadsheet. Harvard began to examine problems at the center after a monkey was found dead in a cage that went through a high-temperature washer in 2010. The university disclosed long-term problems with its procedures to federal regulators in a series of letters, beginning in 2011, but reassured them that those did not seem to affect animals’ well-being. “There is no evidence to suggest that the welfare of the animals is in jeopardy,” a Harvard official wrote in an August 2011 letter to regulators obtained by the Globe through a Freedom of Information Act request. When Wang took over the center, three monkey deaths were self-reported to federal regulators, and his interpretation is different. One of the deaths reported under Wang’s tenure was that of a monkey in 2011 that was found dehydrated with a malfunctioning water system. The animal was euthanized and the death was reported to federal officials and was among 11 violations of the Animal Welfare Act for which Harvard was fined. “It is reasonable to suspect that many, if not most, of the historical cases were probably similar, preventable accidents,” Wang wrote to the Globe. Wang is a respected scientist who was praised by Flier when he stepped down from leading the center. In a June 2012 letter to federal regulators, a Harvard official praised Wang’s superb leadership and the measures he took to strengthen animal care. “Equally important, through word and deed, Dr. Wang introduced a transformative culture of transparency,” the letter states. At the center of Wang’s allegations is a 2014 paper, published in the journal Veterinary Pathology and led by Andrew Miller, a former Harvard researcher who now works at Cornell University College of Veterinary Medicine. Miller is a pathologist who was not involved in animal care. He and his colleagues were examining historical cases when they made an important discovery: that squirrel monkeys get brain lesions after developing high sodium levels in their blood. The paper’s value was to alert people taking care of the animals that these monkeys were exquisitely sensitive to dehydration or other causes of high sodium in their blood and could easily suffer brain damage. “This is just information that needs to be known to the greater public — to know that squirrel monkeys are very susceptible to this,” Miller said in an interview. But some specialists said that in their experience, the condition is not typical. At the Globe’s request, a research facility that maintains a large breeding colony of squirrel monkeys at the University of Texas’s MD Anderson Cancer Center searched its records for cases similar to the primate deaths at the Harvard center. Over a period of 15 years, records showed fewer than 20 cases of adult squirrel monkeys with high sodium levels, even though the Texas center is much larger than the Harvard center — 500 squirrel monkeys in Texas, compared with just 56 at the Harvard primate center in 2012. All the Texas cases were attributed to dehydration, and in only one of those cases did a monkey die, according to Christian Abee, director of the Michale E. Keeling Center for Comparative Medicine and Research, part of the Texas center. They saw no evidence of the brain lesions reported on by Miller and colleagues, furthering the mystery of why the monkeys at the Harvard center died. “I cannot comment on the specifics of the findings in this article other than to say that we have not observed this,” Abee wrote in an e-mail. Many of the questions about the paper hinge on the interpretation of the words “water deprivation.” Miller said he interpreted the description as a synonym for dehydration, which can naturally occur. But several animal care specialists said that instead it suggests the animal was deprived and not able to access water. Institutions that conduct animal research must report adverse events to an internal committee that oversees animal use. Harvard Medical School’s current policy notes that adverse events “that jeopardize the health or well-being of animals, including natural disasters, accidents, and mechanical failures, resulting in actual harm or death to animals” must be reported to the committee. Michele Cunneen, president of Animal Research Consulting, a Natick-based firm that works with research institutions and companies, said that if accurate, the spreadsheet shows episodes that should have been reported to Harvard’s committee. It is unclear what sort of veterinary care Harvard provided to the monkeys that were sick. Harvard did not comment specifically on the cases. The publisher of Veterinary Pathology, when apprised of Wang’s comments to the Globe, said the journal was looking into the issues raised. “We consider the concerns you raise regarding a published manuscript significantly noteworthy,” Mark Simpson, the president of the American College of Veterinary Pathologists that publishes the journal, wrote in an e-mail.